Motorbike world is like ocean and I am small drop of that ocean and I consider myself as a biker enthusiast. Like every bike enthusiast loves to ride on his beloved bike, I am also one of them. In 2013 I did Leh-Ladakh on my Yamaha R15 V2 Now it has been 3 years since I went to Ladakh terrain. In the past 3 years I did some small rides but none of them were longer than 3 days. In this 3 years I was busy in changing my job and some family commitments so i have never got time to plan something big. But this year I have decided to plan something as it was almost 3 years and i was dying for some adventure ride. So started to search the places, I was very keen to go to Bhutan this time, so was planning for Bhutan ride. Asked my bikers friends who can join me on this ride but response was not so good My colleague was ready but he had already done Bhutan so he was pitching me for another place where we can ride. Now we started to find another place, I came up with Spiti Valley Himachal Pradesh and he came up with North East. But finally discussing pros and cons of rides and most important how much leaves we will get ? Discussing this topic for about 2 weeks we mutually narrowed the search down to spiti valley. So, you can Start from Delhi and go via any of the above and come back to Delhi to complete your Spiti Valley circuit. 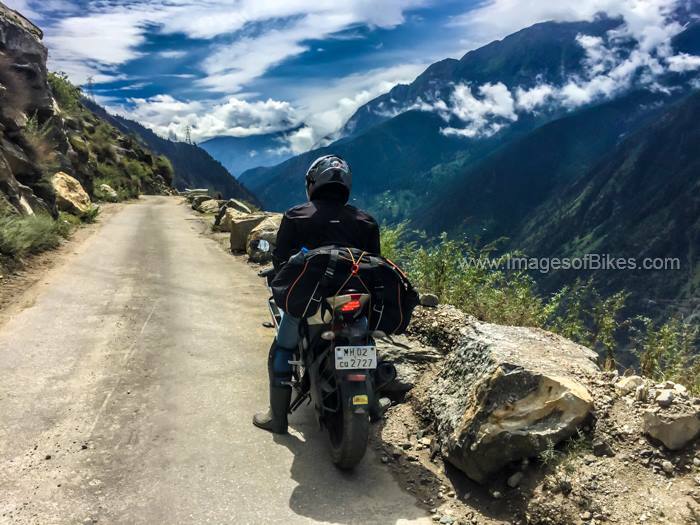 Before starting my journey to Spiti valley, here is my Spiti Valley Bike Ride Itinerary. Above is the Spiti Valley Bike Ride Itinerary I followed, You can change it as per your requirement. If you need any help for planning Spiti Valley Bike Ride Itinerary please let me know, I will definitely help you out. I think you chose the correct plan to go via Shimla.